Originally published on Lori’s blog Regrounding and reposted here with permission. I am the first person to argue that every single patient gets to approach cancer on his or her own terms, with the language and attitude that most fits, no matter what works for anyone else. I abhor the dictates that we should eliminate all war analogies, that no one should call cancer a “gift” or discuss their experience as a “journey.” The very fact that you have cancer gives you the right to frame your experience. Period. No exceptions. 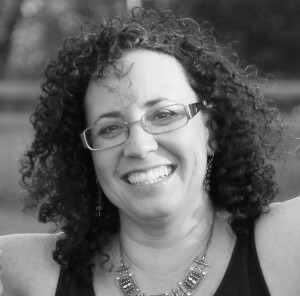 So what does that mean for those who aren’t “survivors,” those whom cancer has stolen from us? I think of friends I’ve lost over the years. They are among the strongest people I have ever known. Like Maura, they did yoga and led “prayerful” lives. They were active and engaged in the world. Some were fit, some were not – they are equally as dead. They ate well, or they didn’t. Some were fierce, others soft, most were both. They were exercise fanatics, vegans, mindful, brave and beautiful. Not a single one surrendered to her disease. Cancer doesn’t put up a fair fight. It doesn’t, by definition, follow the rules. It is pre-programed to defy cell death, to co-opt the body for its own use, to replicates faster than other cells, to overtake organs, and it doesn’t care how strong your will or determination might be. I’m thrilled Maura appears to be doing well and feeling strong, but this isn’t about Maura. This is about the fact that Komen has yet again launched a fundraising campaign that lays blame for cancer deaths squarely at the feet of those who have died. It’s convenient that the dead can’t complain. They can’t come back to talk about their fierce will to live, their end of life struggles, the many treatments they endured, or how much they and their loved ones have lost. The dead are an easy target, and Komen takes a cheap shot. Despite Komen’s best efforts, we who survive can and will continue to bear witness to the lives that have been taken, to hold space in our hearts for the ripples of loss they have left behind. We will honor all that they gave, and the fullness of the lives they lived. And we will not allow them to be diminished by campaigns that make them out as weak, as losers in the battle for life. 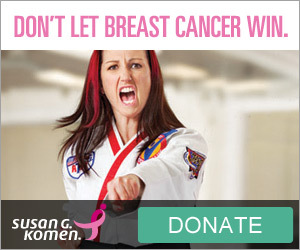 I also wonder if Maura ever learned how much Komen directs to breast cancer research before she lent her name to this ad.